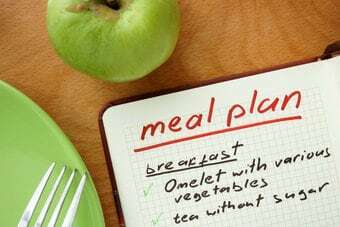 In order to give you an insight into the advantages of a low-carb diet, I’ve prepared a FREE 5-day meal plan and shopping list. CLICK HERE. Or you can use the 1-week low-carb meal plan below, as a guide to what you could enjoy. You can find every single recipe for these meals right here in the recipe section. Finally, if you need any further inspiration here is a great place to start. Ditching the carbs doesn’t have to be painful – there are so many advantages and it can be delicious. Due to some recent lifestyle changes and family situations, I was beginning to slip back into old ways of meal prep (can someone say, “Comfort Food”? ), so needed to refresh my motivation by re-reading this article. Thank you, Libby! Here’s my personal tip for keeping Keto meal prep really simple that works for me: I often do not have time or energy to devote to recipes for every meal, so I have BPC (Bullet-Proof Coffee, or Tea) for breakfast; then, for lunch, I’ll use leftovers from the previous evening’s dinner, utilizing all of the breakfast and lunch recipes in your 7-day plan for dinners instead, which triples my dinner options! 21 dinners! At times, there may be no leftovers for the next day’s lunch, in which case, I will usually have salad ingredients prepped and include low-carb/healthy fat options like avocado, nuts, olives, cheese, egg, fish, or meat. Allow me to affirm the benefits of LCHF DIETS as described in the article, with some suggestion and additions to it. Fats do clog arteries by the means of increasing the blood plasma aggregability, in other words it doesn’t increase the viscosity of blood but obstructs its rate of entrance within capillary vessels. But this is OK. not a problem, if it is continued for a reasonable period. However it is a big damaging clogging element, if the blood vessels are not giving sometime to heal. On the otherhand excessive carbs intake will finally be converted to visceral stored fat, and again this is absolutely OK, as long as this doesn’t continue fo ever, brcause it will start clogging body organs, like the liver, the pancreas, and the heart. However, if at a certain juncture, excessive carbs intake is disrupted, and a person alternates between LCHF & LFHC diets, this should periodically takes full advantage of each diet, and still give ample time to heal from its disadvantages… think about that. Nature usually forced all living beings to alternate between different categories of food depending on each season. And as a matter of fact, this is what body builders do. It’s called cyclic carbing…. I found this a fascinating read. As I have arthlersclorosis, info like this is very interesting indeed. I wonder if you would be kind enough to let me know where you came across these facts as I would like to know more. Blood sugars are often high in the morning (dawn phenomena). If you are only on 15-22 carbs per day I would check every label of everything you are eating to ensure carbs are not sneaking in somehow to still give you a reading of 200, or is your protein too high? Do you have insulin resistance? These are all factors which may be at play here. Healthy fats won’t raise BS at all. I would check your glucose meter. Mine was reading high about 50 out of range. When I had high morning blood glucose, it was rebound from a low at 2 am. Using a CGM, even on 3 day test, may reveal reason for high. I am hypoglycemic, can I do this low carb diet? I need to eat 2-3 hours to maintain my sugar. I’ve been to nutritionist, have a diet planned out with set carbs and protein. But I haven’t lost anymore weight. This diet seems like a good one, I am afraid have a low sugar fit. Actually your blood sugar will probably be more stable. Other things that are fantastic for milk supply are fenugreek capsules (start with 3 caps three times a day for about a week, then reduce to one, three times a day as your supply kicks in). Brewers yeast or nutritional yeast are extra helpful, as is coconut oil! My little bub gained lots of weight and my milk suply was great after doing these things. (My previous two children I had a lot of trouble with supply). Small portions (again, about a 1/4 cup serving to limit carbs) of quinoa once a day are also helpful when breastfeeding. I’m interested in hearing your thoughts on LCHF while pregnant or breastfeeding? Unfortunately, I’ve found that sticking to LCHF tends to reduce my milk supply when nursing, especially since I can’t eat/drink the foods that normally give it a boost like oatmeal or beer. Advice? I can’t give advice on this but I do know many pregnant women cruise through using LCHF, but with higher carb than they generally limited themselves to once breastfeeding. With anything, find out what works for you and go for it. I’m hoping some ladies here may be able to leave their experience with pregnancy/breastfeeding tips and LCHF.